Carole Waller is a painter who uses silk as a canvas. 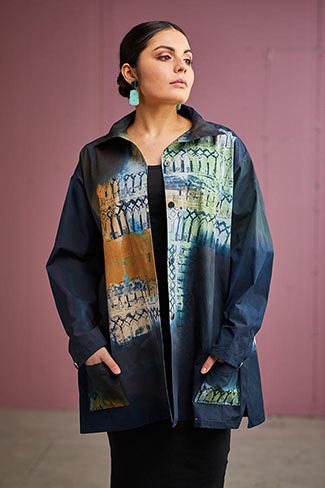 She makes painted clothes, paintings on fabric and paintings encapsulated in laminated glass panels. 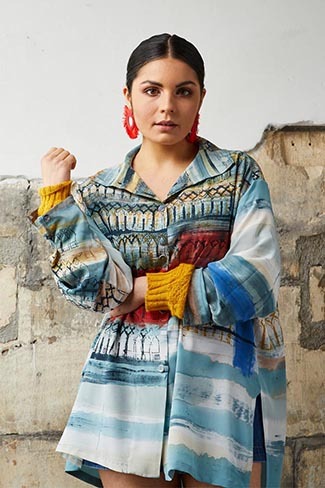 As well as private and public commissions, Carole creates exhibition pieces, puts on fashions shows and sells her clothing collections at Waller & Wood in Bath.